ICT ministry Permanent Secretary Vincent Bagiire explains a point during a site visit to Nakawa where government intends to build and ICT and information hub. KAMPALA. Ugandan innovators should focus on coming up with ideas that help address emerging social problems Minister Frank Tumwebaze has said. The communications and ICT minister was speaking during the Léo Africa Economic Forum at Serena Hotel in Kampala on Friday. LéO Africa Institute is a non-governmental organisation that works to advance thought leadership nurture young and emerging leaders in Africa, and spur them to success. The forum provides a platform for young, emerging and established players in the business sector to network and foster collaborations and partnerships. The day-long conference organized under the theme, “Assessing the impact of disruptive innovations on growth and development in Africa,” aimed at assessing the impact of emerging technologies on the improvement of people’s livelihood. Minister Tumwebaze said Government is committed to helping young innovators but added that their innovations must be relevant to societal needs. 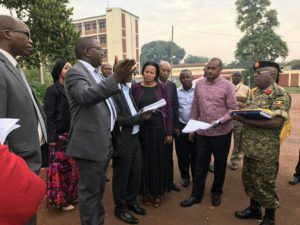 “Governments have many competing demands that include building roads, schools hospitals and increasing salaries of public servants,” Tumwebaze said. He said the government is in the final stages of constructing an ICT and information hub at Nakawa that will serve as a centre for innovation. Tumwebaze said Government had hitherto been reluctant to invest in hubs because innovators have not been keen to explain the political dividend. “Policy makers will respond once they are convinced that ideas can impact on GDP growth and create employment,” he said. He added that policy makers put money where they think they will get the population on their side lest they are voted out. Minister Tumwebaze challenged innovators to go beyond exhibitions and make use of the existing infrastructure and enabling environment to come up with innovations that solve societal challenges. He rebuffed claims that government fears innovation, saying that such innovations enable citizens understand what those in power are doing. “The more citizens understand what their leaders are doing, the more you will not need to use mambas or teargas them,” the minister said, adding that cyber security cannot be addressed by mambas but by counter innovation. But Lucy Mbabazi, the country manager of Visa Rwanda, said there is need to boost skills and innovation right from the grassroots. 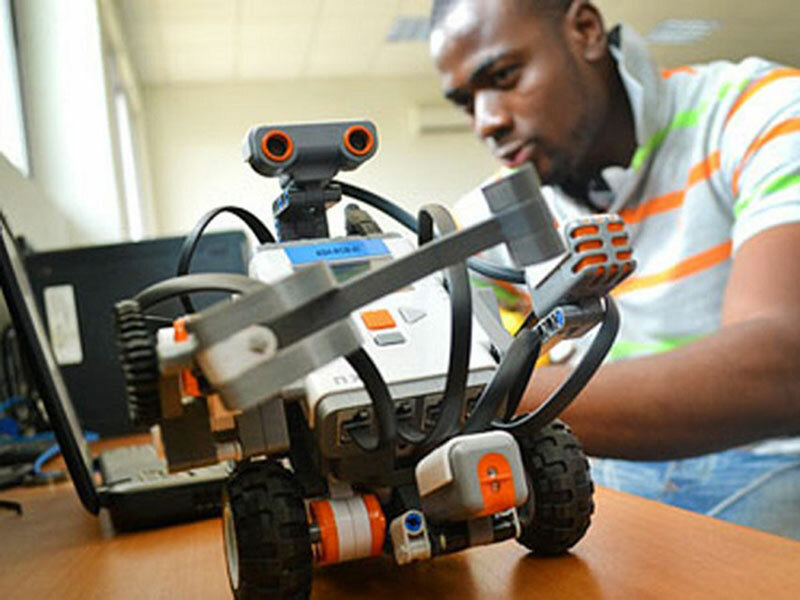 “We need to take these skills to secondary schools where young people have a lot of curiosity,” Mbabazi said. She cited government reluctance to switch from analogue to digital among the obstacles to technological innovation. “Most of our governments still work in analogue although in the last 10 years, we have seen them rally around technology. But it is execution that is still a challenge,” Mbabazi said. She wondered why governments still prioritize experience in a field like technology which largely operates on a try and error basis. On her part, Lucrezia Biteete, managing director of Laboremus Consultancy, a company that focuses on software solutions, urged young innovators to stop asking for protection from government. She challenged them to think about creating systems that are resilient to cyber security attacks. “It is our role as developers to upgrade our technologies and stop asking government for protection all the time,” she said. Kin Kariisa, chairman of the National Association of Broadcasters, urged young people not to wait for ‘big money’ to start up businesses and innovations. “Start with what you have. Don’t fear the big businesses, just start somewhere and be focused. Most of the big businesses you fear are so complacent and stuck with the old ways. You can easily outcompete them,” he said.